Just how does one go about writing a book? I am a published author and most days, I still struggle with that question. There’s so much involved in writing a book: craft, connections, moxie, perseverance. But what else can we do? We must write. And sometimes our efforts turn into a book. I am in the process of writing my second book, which has pretty much eclipsed everything else in my life. With my first book, I took years writing the whole manuscript before finding an agent and a publishing house. This time, my agent sold the book on proposal with a deadline. I was given eleven months to write and submit it. Yikes. I’ve decided that, either way, whether you are on deadline or on your own agenda, writing a book is like doing a puzzle. I write creative nonfiction. My puzzle pieces are anecdotes and stories from my life. I lurch around in the darkness of my writing cove, type words, peel back memories and scenes from the past, and try to find something salvageable to get down on paper. I try pieces in different places, and attempt to trust that the piece has a place, and that at some point the puzzle will be complete. Yeah, but, can you answer the question? Oh, right, I’m supposed to give you a few concrete tips on writing a book. Let’s assume you are a writer. Here are skills you already possess: you read a lot, you write, you have taken classes or participated in a writing workshop that critiqued your work. Let’s assume you are ready to write a book, and you are looking for a few quick, concrete tips regarding the process. OK, I can help with that. -I prepare. I read a chapter from a book I love. I pray about my writing. I block common distractions (i.e. if the kids are home, it is off to the coffee shop I go). I look at my calendar on Google and plan writing time. It is as official as doctor appointments and school functions. -I write. I can’t tell you how many people have talked to me about writing. “How much of the story do you have down?” I ask. “Oh, I haven’t started writing yet. It’s all up here.” (points to head). Yeah, no, that’s not going to work. I try to find several hours to write. I shoot for 1000 words or two hours editing. I spend time looking off into space, though, too. -I realize that it takes a lot of work. It took me years to write the first draft of Sun Shine Down. And just so you know, nobody writes wonderful first drafts (if they do, I am going to avoid them and refuse to read their work on principle). Rewriting is key. I hired a professional editor, printed out her suggestions, sat down to the blank page, and re-typed the whole thing. -I look for tools that will help. I purchased Scrivener, a word processing program specifically for writers. I can pop in and out of chapters easily and I love the cork board feature that helps me see the big picture of my book. I also found an app in Google Chrome based on the Pomodoro Technique. It blocks social media for 25 minutes and then gives me 5 minutes to check email or get up before returning to work. Keep your eye out for tips and tools that will help you and then go a step farther, and utilize them. -I try to ignore negativity. Beware. Throughout the process you will assume you can’t do it. After, God willing, your book publishes, you still won’t believe you did it or that you could do it again. One of the best ways I know to ignore negativity is to keep writing. I also talk to other writers and attend a monthly writing group. So, here’s to good books! 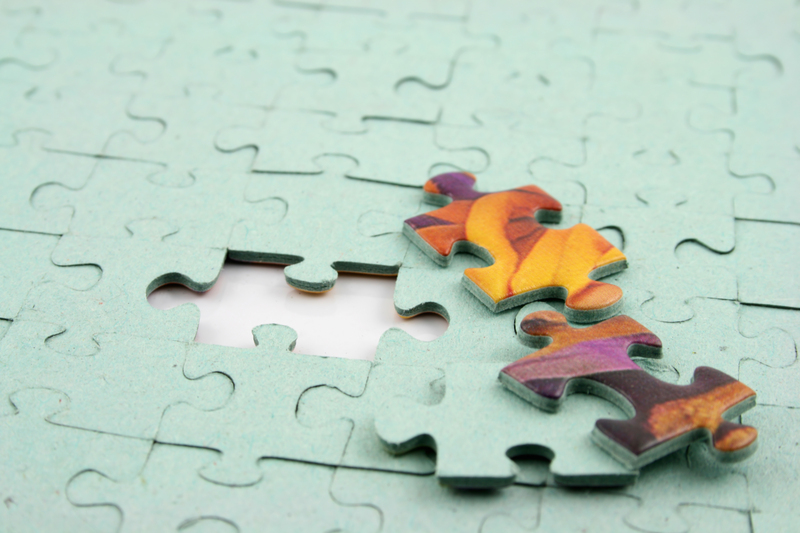 Here’s to puzzle pieces in place, and here’s to us in our writing pursuits! This entry was posted in Encouragement, Fiction, Memoir, Publishing, Writer's Life, Writing, Writing Craft and tagged planning, Preparing to Write, writing, writing a novel, writing tools by Gillian Marchenko. Bookmark the permalink. I found your piece interesting and informative. I started writing only last year due to circumstances that left me with a lot of time on my hands. Only short stories and social observations mind you for I think a few fledged novel is beyond my capabilities, but you never know. Thank you. Thanks so much. I think you should just keep writing… it will show you eventually what it wants to be. I think part that reaction is from fear (“well, if I decide it’s not very good, I won’t be taken off guard if others say the same”), and the other component is the old adage, “familiarity breeds contempt.” Silliness, I know, but I have a feeling we are always are own worse critic in this line of work!